Sharp's Brewery will give people the chance to win one of five 'extraordinary adventures' in 2015 as part of its latest campaign. The Moors Colson-owned brewery is teaming up with inspirational leaders from across a range of sports and industries to host the activities. The first will see members of the public join Sharp’s director of brewing and world-renowned brewer Stuart Howe to create their own personal brew. Chosen winners will be invited to Sharp’s brewery, where they will learn the art of craft brewing to perfect their taste profiles. Their finished beer will be made as a limited-edition variety available to purchase at selected pubs and bars, as well as the Sharp’s shop. To promote the first adventure, Howe will be on hand at Sharp’s ‘Crate’ installation, as part of its headline sponsorship of London Beer Week (16-22 February). Here, VIP guests will be able to take part in food and drink pairing sessions and discuss details of the beer adventure with the brewer. Details of the remaining four adventures will be revealed throughout the year online and on social media, however the brand has hinted they will be themed around rowing, rugby, surfing and cooking. Howe said: "Being based on the Cornwall Atlantic coast, adventure is part of our everyday lives at Sharp’s – whether it’s surfing, rowing, or living out our passion to create new and exciting beers. We have a really special energy here in Cornwall, and wanted to bring that vitality to the rest of the UK. "Our research clearly shows that Brits are craving adventure – and more than that, believe adventure will make them happier and more fulfilled. We wanted a way to show people the importance of a little adventure, and help inject some more excitement and Cornish energy into their lives." 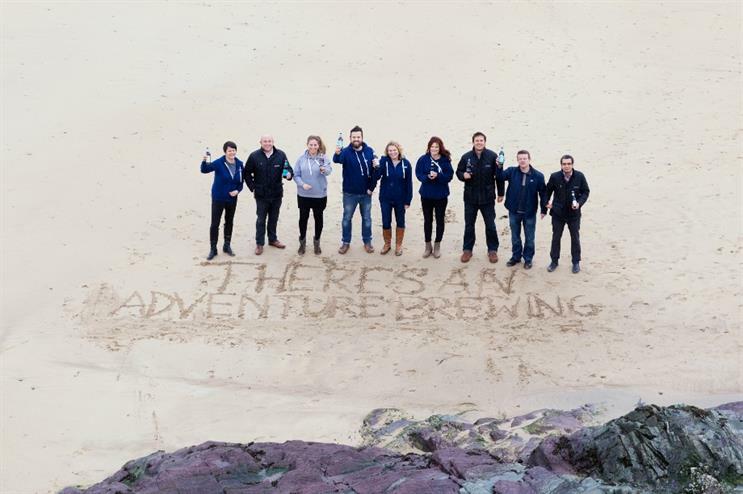 Red Consultancy and Integer are collaborating on the 'There's an adventure brewing' campaign.